Repairs to chimneys should be performed when necessary and not be postponed only because any chimney defect is a safety and health risk. All chimneys, metal or masonry require special care so smoke and flue gases are properly vented. Your chimney should be inspected and cleaned annually especially before each heating season to ensure it is in good and safe working condition. For expert repair, chimney and fireplace services you can definitely count on Chimney Repair NY to get the job done to your satisfaction. Call us today 1-877-952-7425 to schedule your appointment or request your Free Repair Estimate. 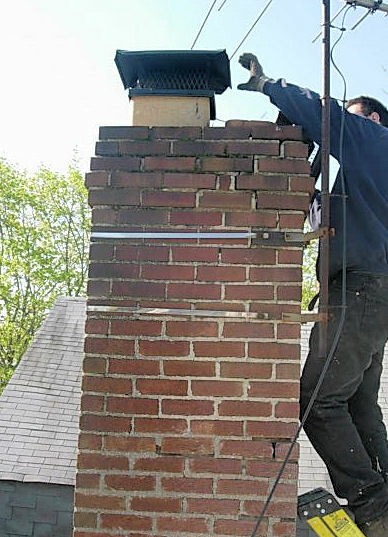 Our skilled chimney technicians and masonry experts repair all chimney problems in New York including chimney lining, flue, crown, cap, flashing, or fireplace and chimney cracks and leaks. Have us repair chimney, masonry, or fireplace problems for your home, so you can live comfortably knowing that everything is working safely and efficiently. Call 1-877-952-7425 today to schedule chimney repair, cleaning, or inspection service.